I went to visit a dear friend of mine a few weeks ago. She showed me the altar cloth lace she’s currently working on for the Mexico City, Mexico Temple. It’s a variation of a pattern she saw on my pinterest crochet lace page. It’s turning out just beautifully! She’s using size 20 lace thread. ← Janetta’s Lace for the Payson Temple, Complete! I love the design. I can’t wait to see it finished. I’ve asked her to send me a picture when it is complete. I’d love to post it. "Making this lace is a labor of love, and a unique opportunity. It may be the closest I ever come to having the privilege of carving the sunstone, or smashing my family’s heirloom china for the Lord’s walls." 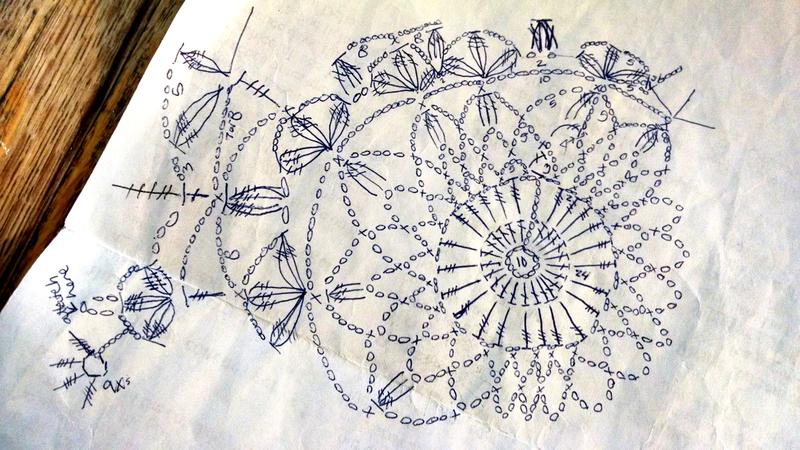 MJ Stegeby’s Snowflake Lace– Completed! Who are the Volunteers in the LDS Lacemaking Community? Janetta’s Lace for the Payson Temple, Complete! Anna Celinda, Baptism Dress with lace edging. The Los Angeles Temple from the rose garden. Tatting shuttles on tatted lace. I modified the pattern for the edge, adding “clones knots” from my Irish heritage. They remind me of baby’s breath, and the gift of life after death. Linnaea Borealis Ebenezer lace, a work in progress, almost complete. Linnaea Borealis Blossoms, surrounded by the eyes of the Lord, a part of his glorious plan and work. We are not lost to Him. Ada and Moroni Almond on their 50th wedding anniversary. After the lace was all done, we washed it in hot water to shrink it, and then pinned it out to dry in the shape we wanted. Once it dries, the thread will hold it’s delicate shape. My mother knitted a bear for her, as she does for all her grandchildren. Usually they’re in bright colors, but Carolyn’s is in her white temple dress. 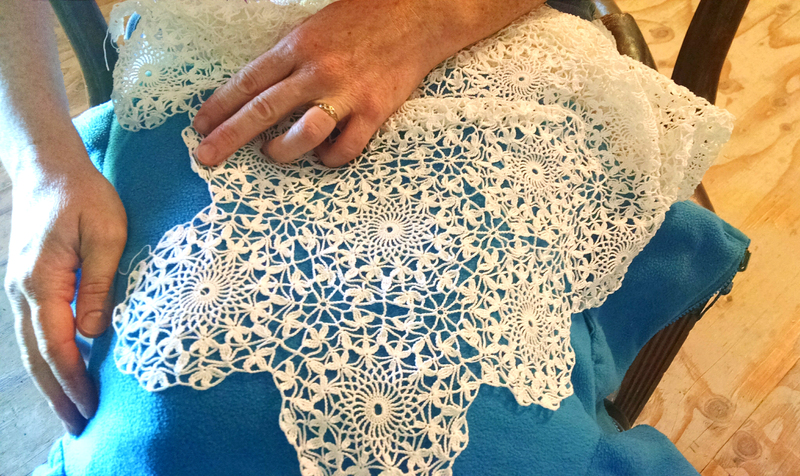 Carolyn’s Lace for the Lord: 425 square altar cloth– worth every stitch a thousand times over.